The Sommelier Update: Aerate or Decant? In Aladdin, Robin Williams character, Genie, is quoted as saying, "It's all part and partial, the whole Genie gig. Phenomenal cosmic powers...itty-bitty living space." What does this have to do with wine? Well, just like that genie, it may have been bottled up in a small confined space for a long period of time. All it wants to do is get out, get some air and stretch. Then, it is ready to deliver its’ promise. But sometimes that promise falls short, and we are required to coax the “genie” out. That is where aeration and/or decanting come in to play. The process of aerating wine is commonly referred to as "letting the wine breathe." Most of us pour the wine into a glass and swirl it around. While this may seem “wine snobbish”, it does allow the wine to expand, and coat the glass, releasing the aromas and complexities of the wine, and enhancing our experience. Exposing wine to oxygen can improve the taste and aroma. The wine has been kept in a relatively oxygen free environment inside its bottle, so the reintroduction of oxygen can greatly alter and enhance it. However, not all wines need to breathe, and in some case, they should not. The goal of aeration is to maximize the wine's contact with oxygen. For this reason, simply popping the cork, and letting it sit, isn’t enough. The oxygen to wine-surface contact is pretty small in the neck of a wine bottle. Swirling in the glass is the simple way to “open up” a wine, but to really get some oxygen in there, the wine may need to be “aerated”. Handheld aerators like Vinturi or Respirer, for example, expand the surface area of wine, which allows the air to mingle with it. The wine gurgles through the bubbler, and out into the glass or decanter, softening the tannins of young or bold wines. The aerator will easily do the trick in minutes, and is appropriate where time is of the essence. So which wines should be aerated? In general, young red wines, with a tannic profile (Cabernet Sauvignon, Zinfandel and Syrah, for example), are the best candidates, but these aren’t the only ones. Even white wines can benefit from some aeration. Heavier Chardonnays can open up, and even whites that are over-chilled will present themselves better with a little room temperature air being infused. But again, red wines are the main focus, softening the tannins. Remember, that as wines age, tannins soften and are balanced by other flavors and a stronger bouquet. But in young red wines, particularly heavy reds, the tannins can be harsh and overwhelming. Aeration won’t increase the complexity of a young wine, like an older wine gains in the bottle, but it does soften and smooth out the flavor. Here’s the big trick….determining what wines need to be aerated. Not all wines need to breathe, and sometimes it will do more harm than good to the flavors. Older wines, about 30 years or older, can become completely oxidized and lose their flavors, if exposed to air for too long. For a friend’s 50th birthday, I opened up a bottle of 1976 BV George’s Latour. For the first fifteen minutes, the wine had a wonderful bouquet. Within 10 to 15 minutes, the wine had turned brown in the glass, and lost all aroma. If you are unsure, check a site like www.Cellartracker.com, to see tasting notes from others. You will get free advice on how the wine is tasting, and how long it took to open up, or even if the wine isn’t holding well, and is over-the-hill. What about decanting versus aerating? Many people confuse the two practices. A wine aerator is a rather violent approach to opening up a wine, by adding oxygen into the liquid to improve the taste. Decanting performs a somewhat similar act, but the main purpose is to remove the sediment in older wines, leaving it in the bottle, while the wine is poured into a different vessel. A sommelier will typically set a light (or candle) under the bottle, and gently pour the wine into a glass vessel (or decanter) until he/she starts to see sediment. The sediment is left in the bottle, and the wine in the decanter is then poured into glasses, free of any bitter sediment. Sediment is common in wines of as little as 10 years old, depending on whether they were filtered or fined. Decanting can also be done to aerate wine. A broad decanter can give the wine maximum contact with the air. Young wines can be poured directly into the decanter. 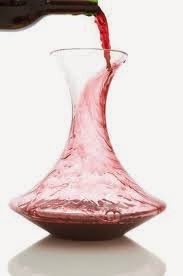 Letting a wine sit in a decanter is a slower way to aerate a wine, and may take many hours. For a dinner party, decanting is a classy way to serve your wine and adds flair to the evening. For younger wines, decant and let sit, checking every half hour, to determine how the wine is evolving. For older vintages, first taste the wine, right out the bottle, before decanting…it may not need decanting (other than to remove sediment), and may in fact oxidize the wine, ruining the entire experience. Also, some wines have something known as “bottle stink”. This is a stale aroma that is noticeable when a wine is first uncorked. This can be caused be over sulfuring a wine or just too much of an anaerobic atmosphere. By transferring the wine to a decanter, the contact with air will often eliminate the odor. 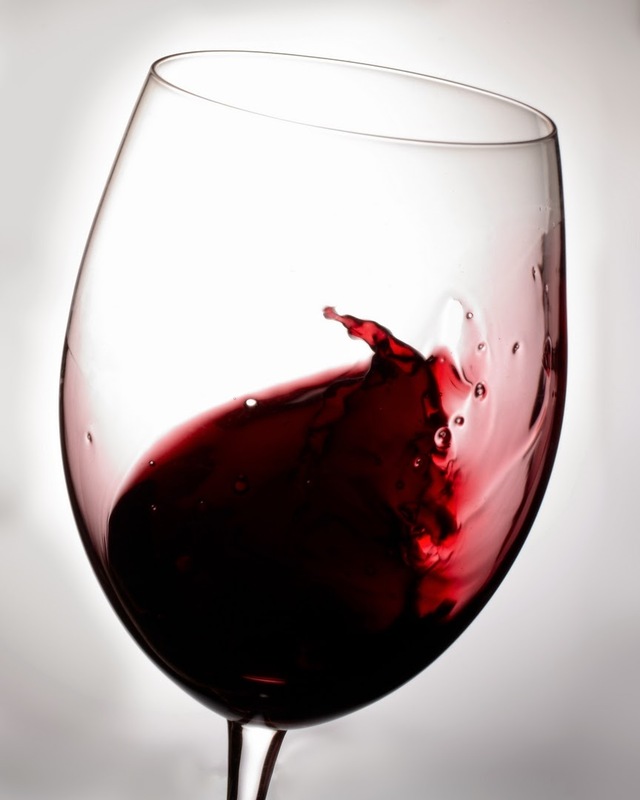 In general, the aeration “rule of thumb” is, the more tannin a wine has, the more time it will need to aerate. Aeration is controversial. Some insist on aerating tannic reds for two hours, while others say 20 minutes. The practical approach is to tailor the process to the wine itself, and to test it frequently during aeration. When it tastes good to you, drink it. There you have it. The difference between aeration and decanting is time, and technique. When it comes to your favorite bottle of wine, it's time to put the aerator to use for quick results, but also to use the proper decanting technique when time is on your side, and you are preparing an event for friends and family. Wine can stay in a decanter for hours without spoiling (depending on how much air it needs). Presenting wine in a decanter makes for a more special experience, versus using an aerator. Remember that oxygen can be your friend or foe, benefiting or ruining a wine. Old wines will fade fast when exposed to oxygen, and younger wines will open up. The trick is finding the balance. So pick your favorite vintage, relax and enjoy! The object behind the spout is to widen the pouring pattern, which adds more air, while pouring. 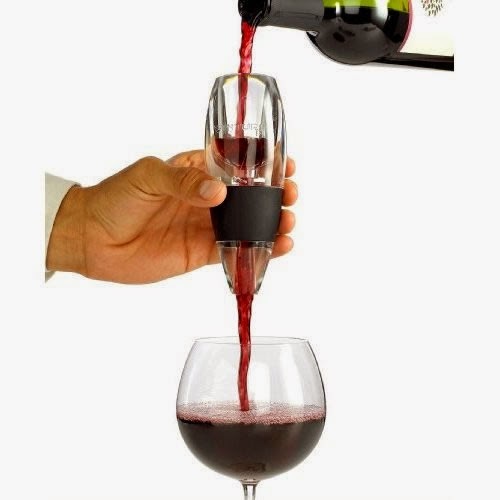 There is also an aerator that attaches to bottle and has a wire whip at the pouring end. In this case the wine flows over the wire whip, thus adding oxygen to the wine. Thanks for sharing this... Years ago! Aerating and decanting doesn't apply to all wines it is on some specific wines such as vintage wines to enhance the taste. Thank you for sharing this knowledge. The next BIG red wine?